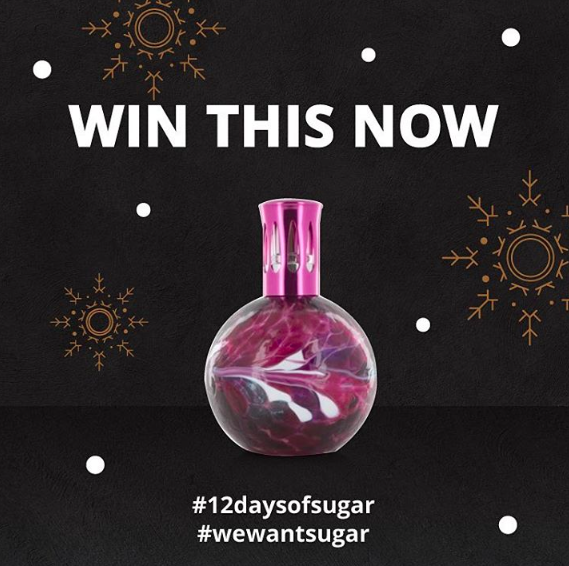 From now till 18 December, SUGAR is having one special Christmas item up for grabs each day! So far, SUGAR has been giving really interesting and unique items over the past 4 days. Let's take a look at what they are! 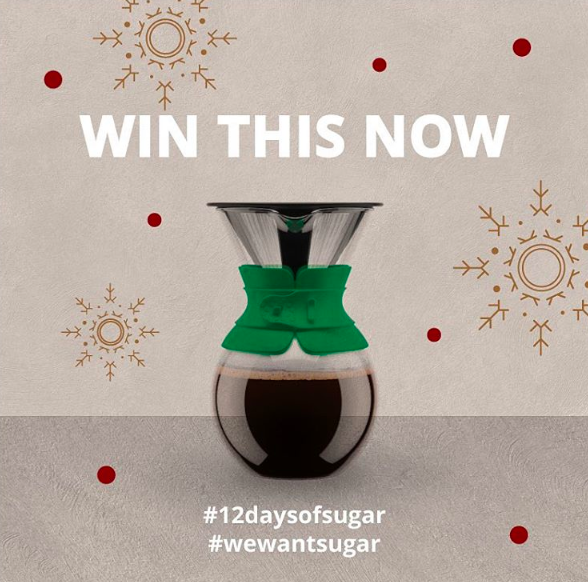 Day 1 — BODUM'S POUROVER COFFEEMAKER (Worth $79.80). [A winner has been selected] . The POUR OVER promises excellent, rich taste and robust aroma while maintaining the natural oils of the ground coffee. I'm so sad that I've missed this giveaway! Super enchanting and absolutely magical - brought to you by Ashleigh Ivory! "Each lamp is uniquely formed by glass workers, using 100% recycled glass. The distinct patterns in the glass are a result of the crafting process, as coloured shards of glass melt and merge together whilst blown. The glass takes on a life of its own, creating hypnotising ripples of shimmering hues and luminous intensity. Each Ashleigh & Burwood lamp in this range is completely original, no two designs are ever exactly the same." — Ashleigh Ivory. Isn't this gorgeous?! If you missed this giveaway, fret not. There's still 9 days to go! 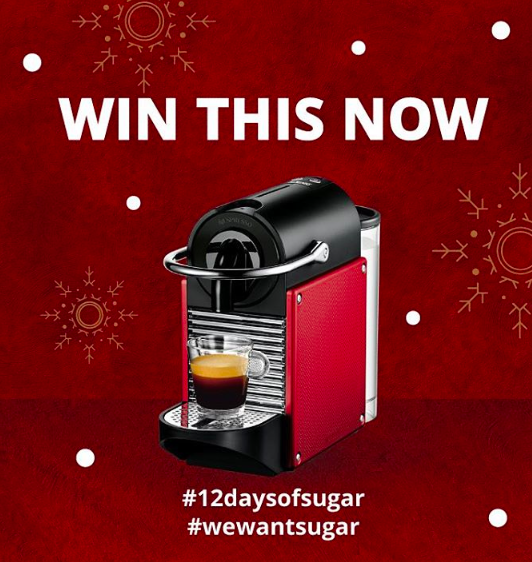 Winner stands to win the coffee machine, 100 coffee capsules, 1 set of coffee cups and 1 set of espresso cups! It's a must-have for every coffee lover. 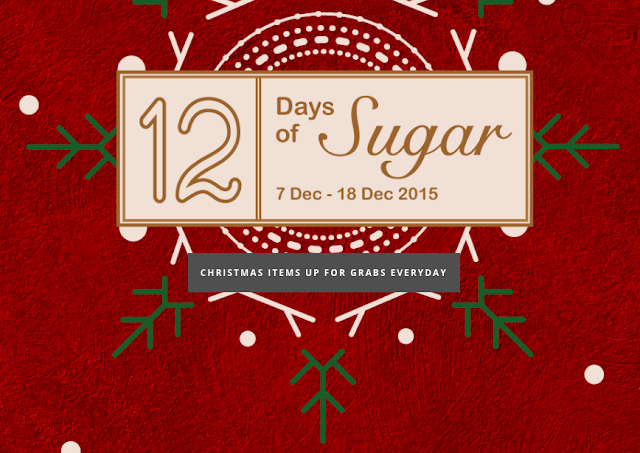 Download SUGAR app on your mobile phone through the Google App Store or iTunes store. 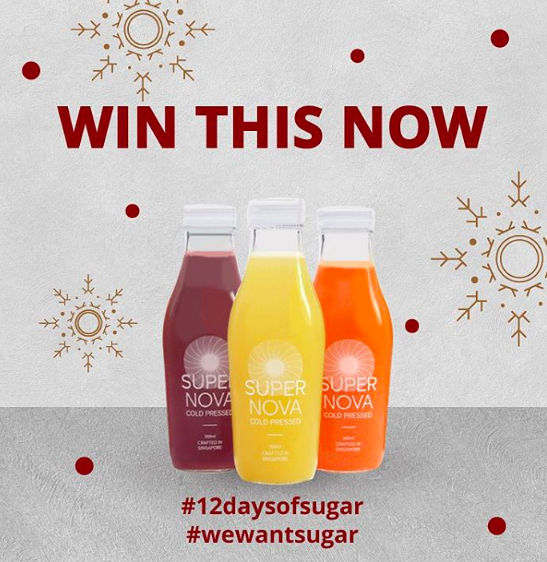 Wait for SUGAR to announce the results on their Instagram!